Cipriano Custom Pools is a 17-time international award winning specialist in the design and construction of luxury inground pools for residential and commercial clients in New York, New Jersey, Connecticut and the North East corridor. 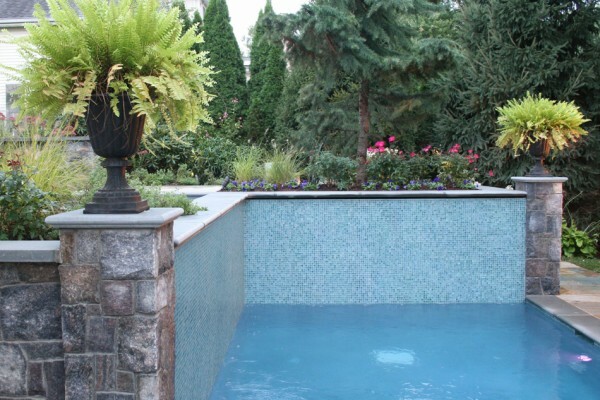 Our comprehensive suite of inground swimming pool services is led by a Certified Building Professional with the Association of Pool and Spa Professionals, and a Certified Landscape Architect licensed by the state of New Jersey. Our veteran construction services team and landscape architecture department collaborate to deliver a seamless and comprehensive experience for our customers. 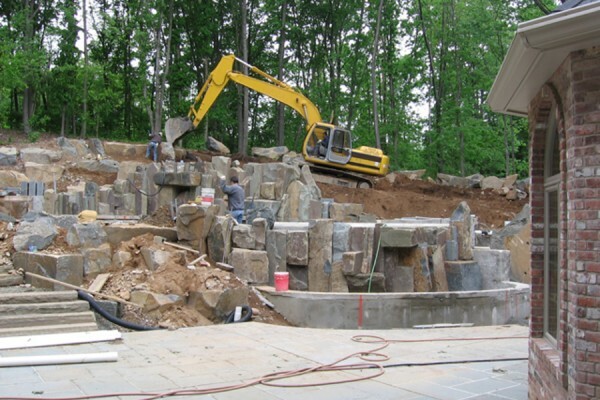 Our design and build company has the abilities to complete every facet of landscape and pool projects in a convenient and seamless fashion. This means our experienced building services offer performance, quality and consistency from design through construction. Every detail of your design will be maintained as the pool transitions from plans on paper to a complete backyard paradise. 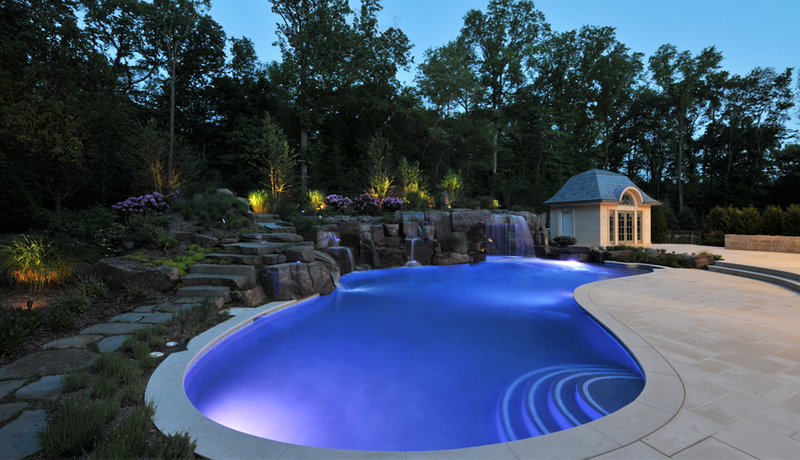 There are many practical benefits to choosing a single company to design and build your inground pool. Design and construction teams rely heavily upon one another to produce beautiful outdoor living spaces that feature safety, durability, value and style. Cipriano’s all-inclusive pool and landscape design capacity helps to avoid unforeseen costs through detail, proper planning, communication and collaboration. Our building experience ensures a safe pool environment for your family and friends. 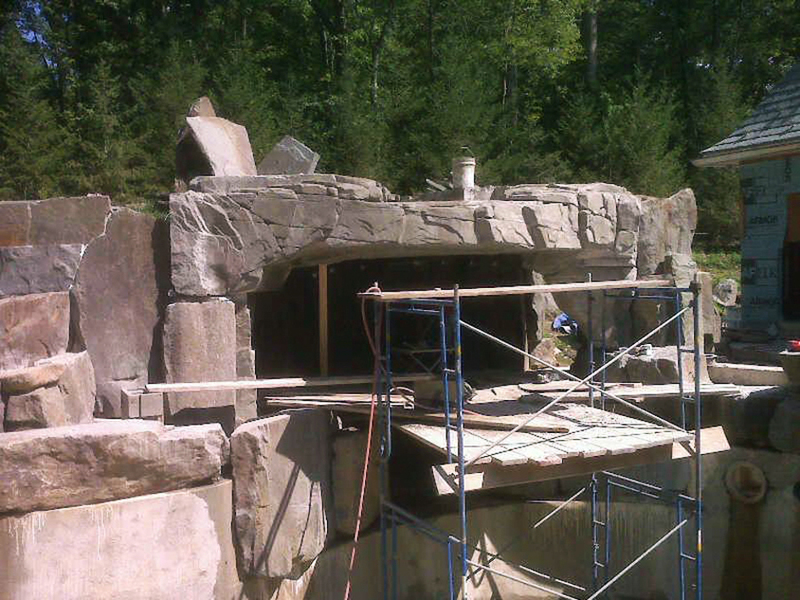 Exceptional construction produces a structure that stands the test of time and saves money in potential repairs. 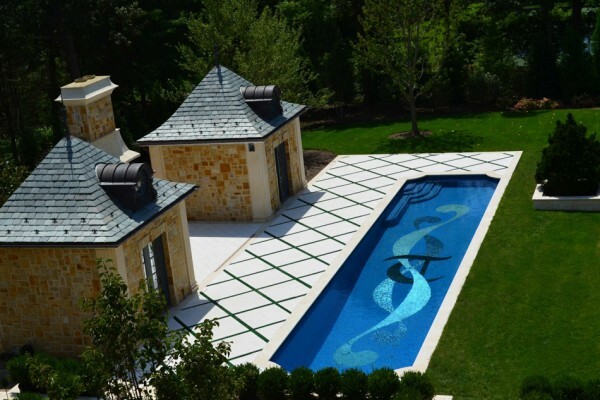 The best luxury pool designs and most innovative pool renovations may never reach their full potential without an experienced builder. A proficient construction company provides you with a safe, durable structure that gives you the best return on your investment. 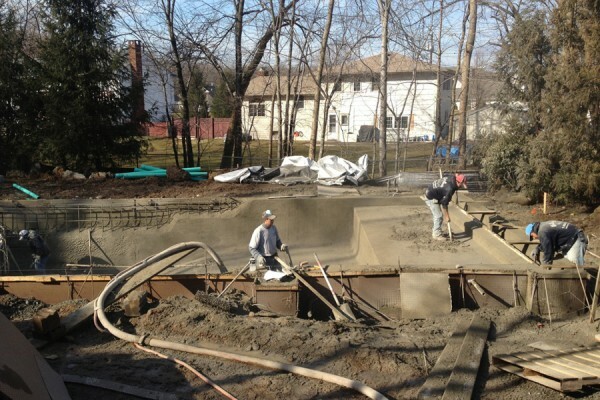 We have compiled a general outline of the construction process to give you an idea as to what to expect during construction of new inground pools. Of course, each project is unique and may require additional or varied steps depending on the individual specifications of your pool. 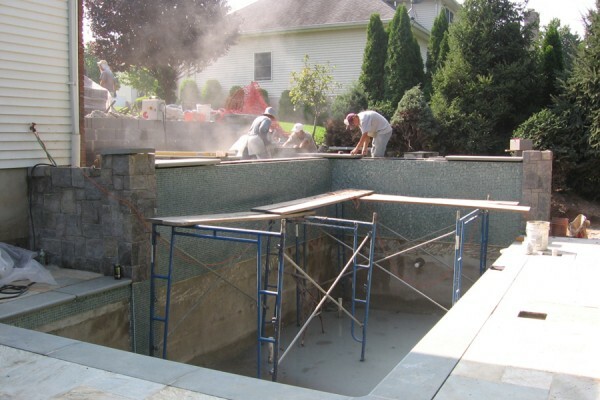 We continually inspect the progress of your pool throughout the building process to assure the utmost quality. We also manage all municipal/ building inspections for your pool project. Here are the basic steps we take to bring your most imaginative pool and landscaping ideas to life. Before we begin pool construction, a request is placed with any and all utility companies to clearly mark lines that are located on your property. 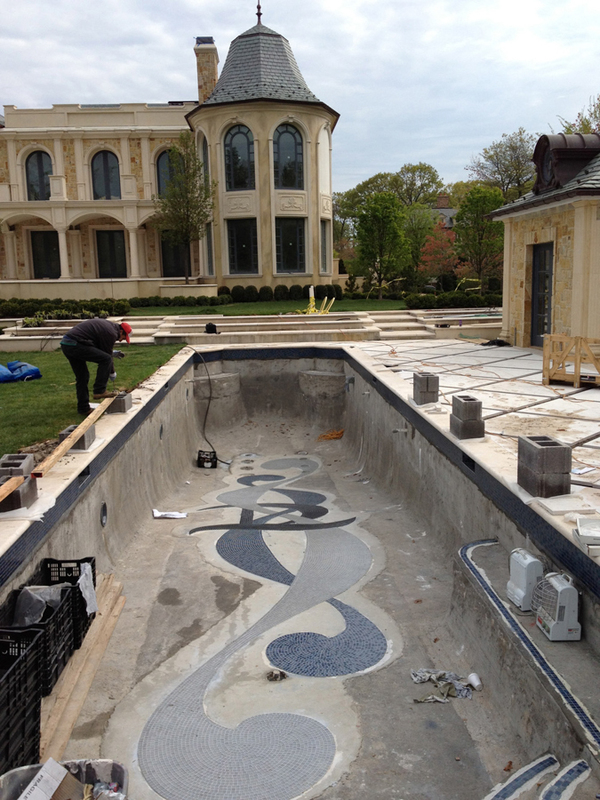 The pool will also be marked with paint and wood stakes in accordance with the plan of your custom design. Once you approve of the marked layout, we are ready for excavation. 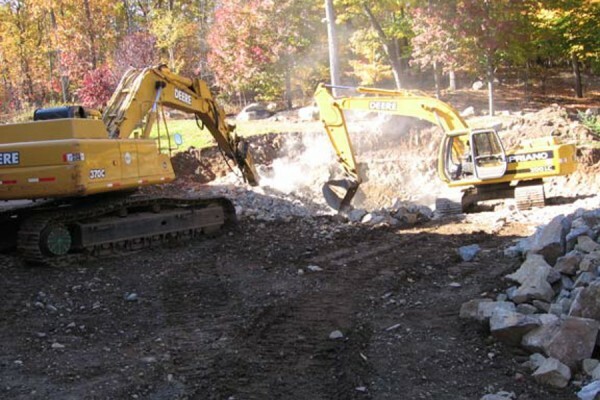 Excavation is the true start of the heavy pool construction. 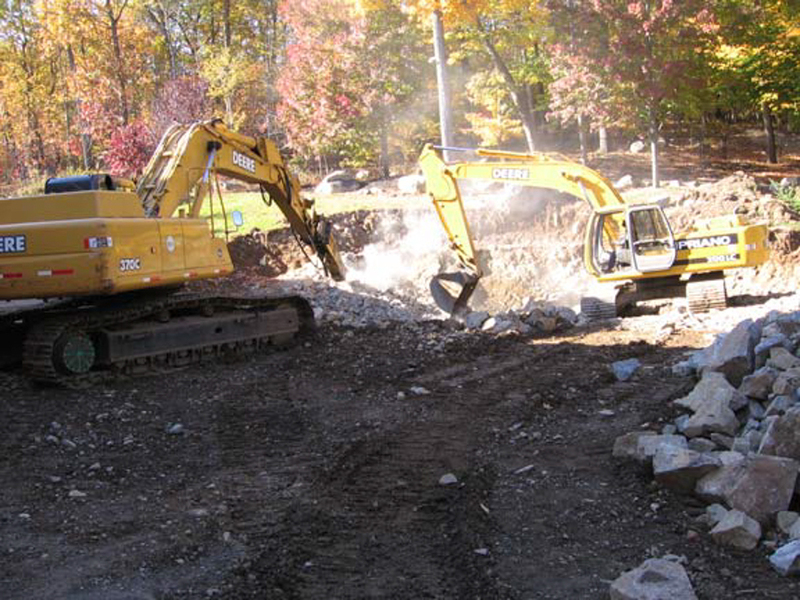 The excavation crew will remove the dirt in the pool area, in most cases using track loader equipment. The excess dirt is loaded into dump trucks. As the excavation is taking place, crewmembers are installing form boards that mimic the approved layout, as the interior of your inground pool is hand shaped and contoured. 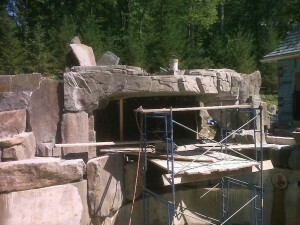 The excavation generally takes 1 to 2 days. The plumbing and steel crews are the next phase of pool building. The equipment will be set and plumbing installed. Prior to completion the plumbers will place the system under pressure to assure integrity of the lines. 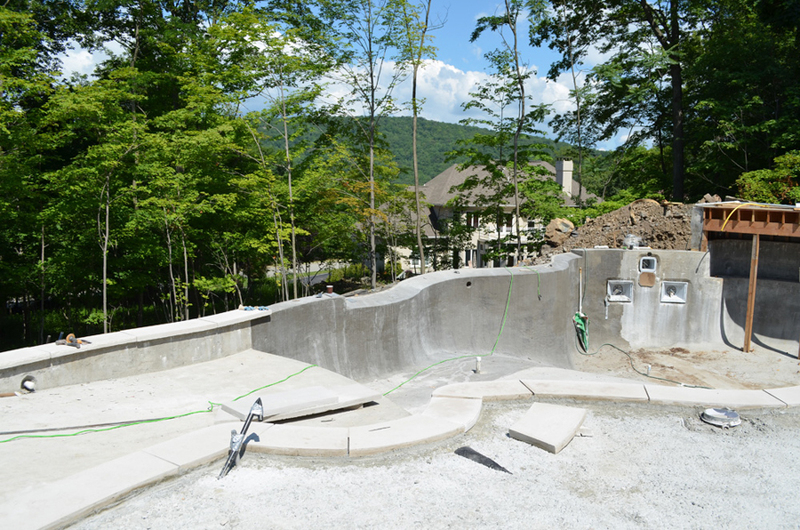 Throughout the pool construction process, the pressure on the plumbing lines will be carefully monitored. Next, the steel crew will install the reinforcing steel rods for the frame. You will see what appears to be a steel cage that is created for the specific contour of your pool. The steel is securely wired together and placed in intervals that will provide strength within the structure of the gunite. 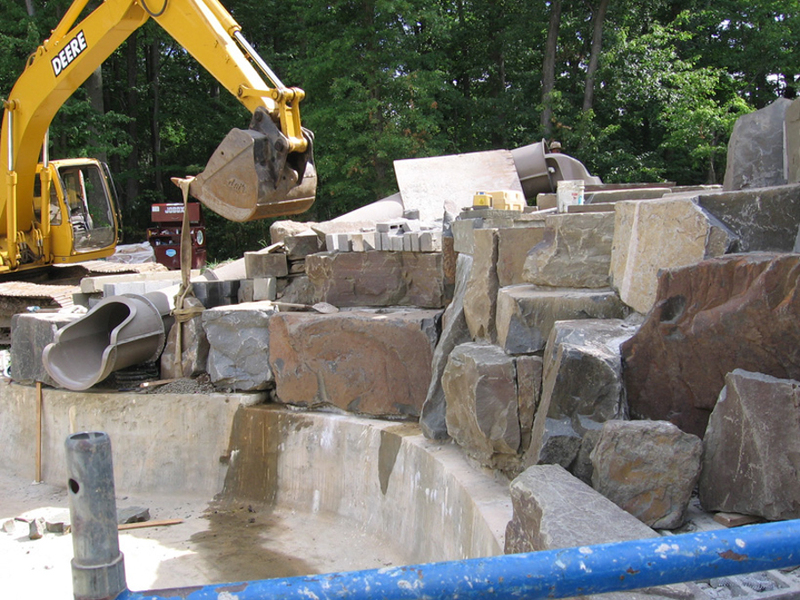 Gunite is a specialty concrete product that is pneumatically installed. 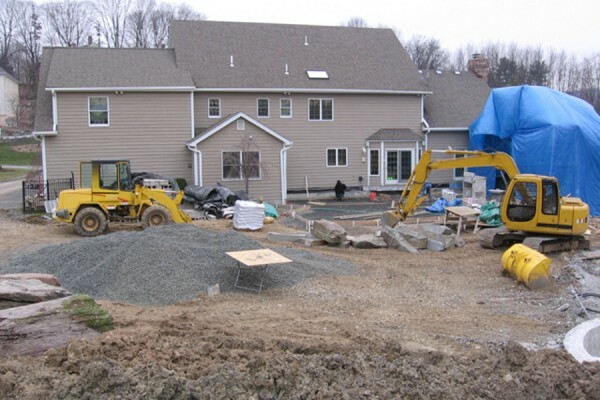 The construction crew, prior to shooting the gunite, will take measures to protect your home and surrounding areas from any airborne debris. 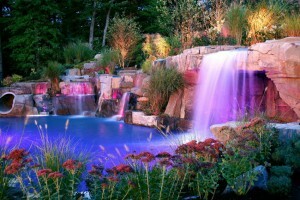 Depending on the time of year you may be required to water your pool structure 2 to 3 times daily for the next 3 days. 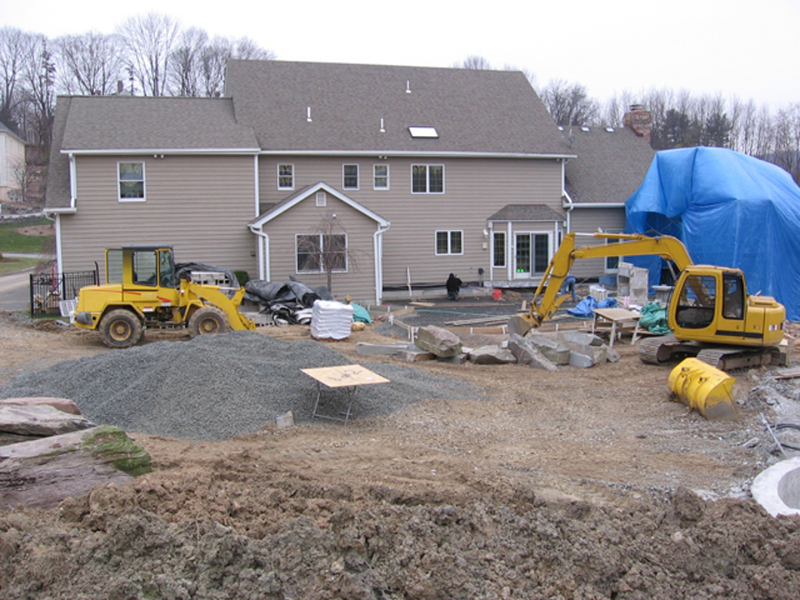 This allows the outer surface areas of the gunite to cure at a rate more consistent with the inner part or center. It is now time for the electrical company to provide the needed service connections for the lighting and equipment. A NJ Licensed Electrician, following not only the manufacturer’s guidelines, but also City, State, and National Electrical Code requirements, provides all electrical work. 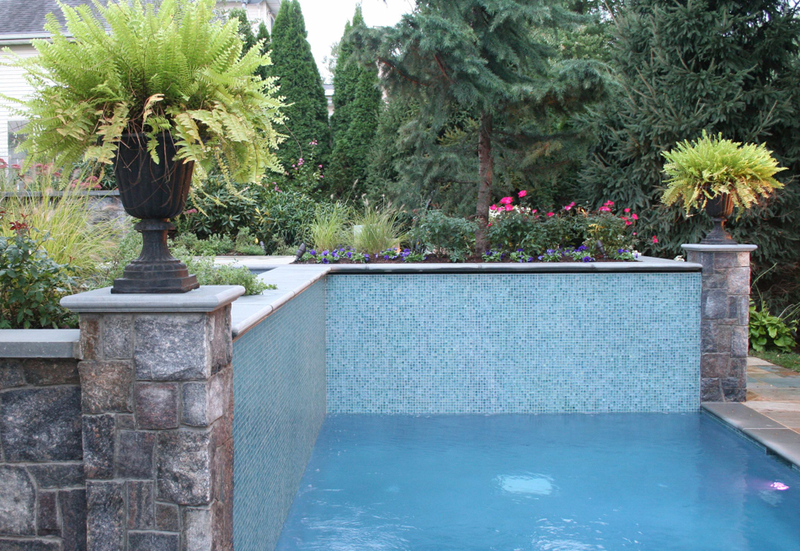 Once the tile is selected, it is placed in the interior of your pool at the waterline. 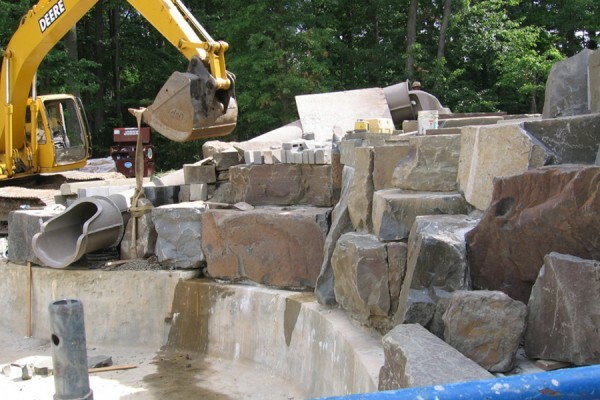 We will also need you to choose the type of material and color of coping. 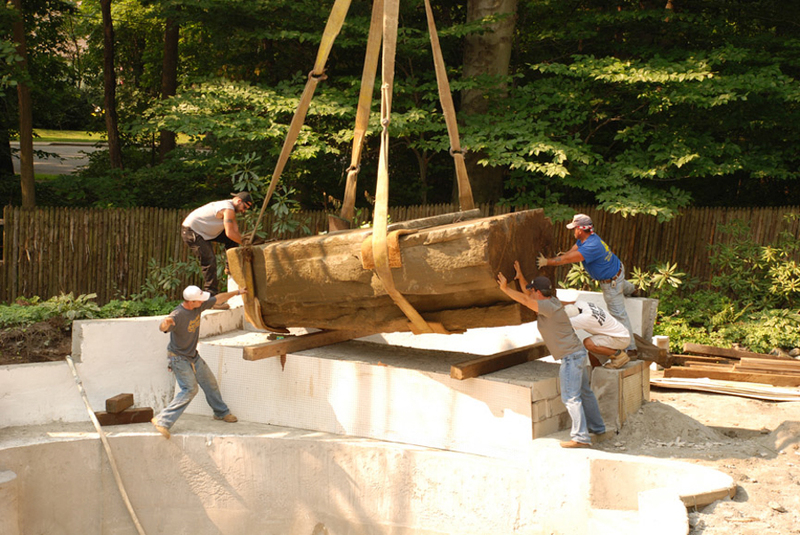 The coping is installed on the top or “beam” of your structure. We have a wide variety of tiles and coping options for you to choose from that will grace your pool with your own unique style. Your selections will be installed at this time. 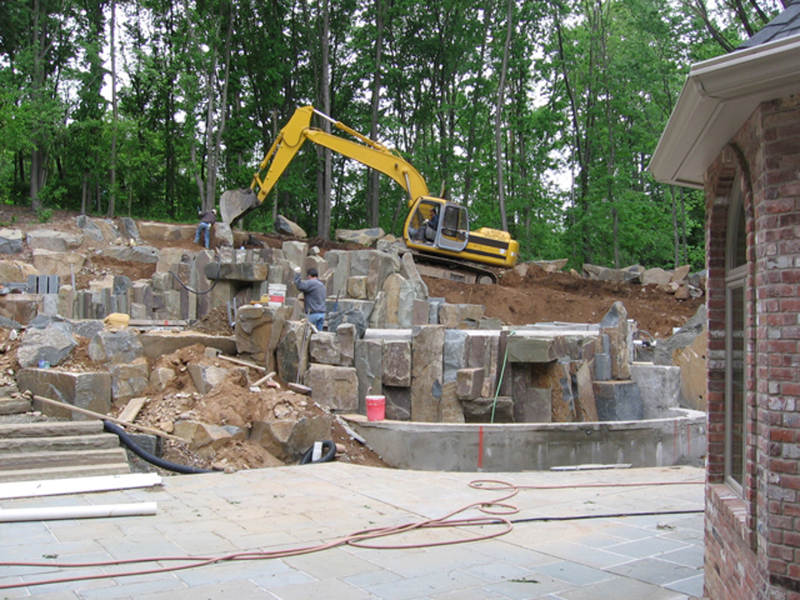 If you have a natural rock waterfall or decorative water feature, they will also be created during this construction phase. 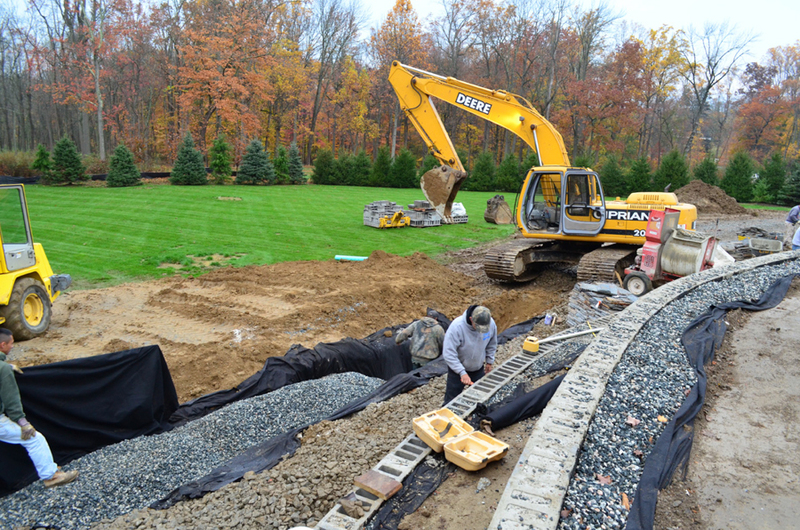 You have many options available for the area directly surrounding your new pool. Choose from basic concrete pavers, decorative stamped concrete, clay bricks or custom natural stone. 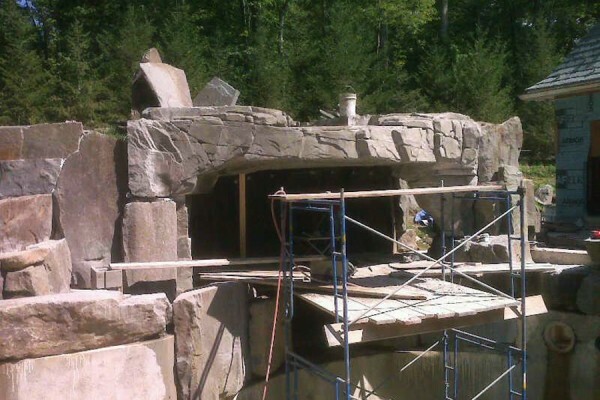 Natural stone is our specialty; with over 100,000 square feet of natural stone decking installed, you’re getting the most experienced masons in the landscaping and pool construction industry for your project. 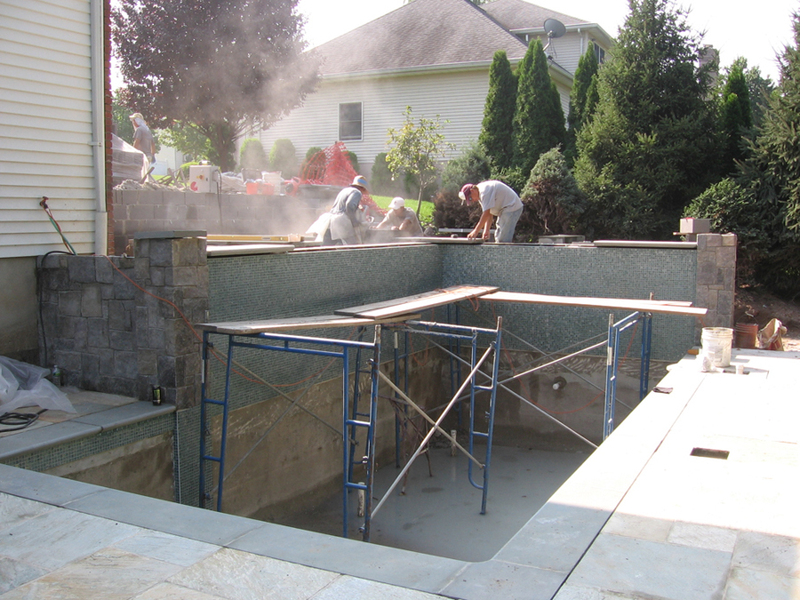 The application of the interior finish of your pool is the final step of pool building. During this process, the crew applies the type of interior finish that you chose earlier in the design or selection stage. When the crew has completed this application, they will start filling it with water. The interior finish cures under water so, to avoid unwanted imprints or possible damage to the finish, it is very important to allow the pool to fill completely (to the middle of the tile) before turning off the water. Once it has filled, we will start up the circulation equipment, and provide in-person instruction on the operation of your new pool and pool equipment. 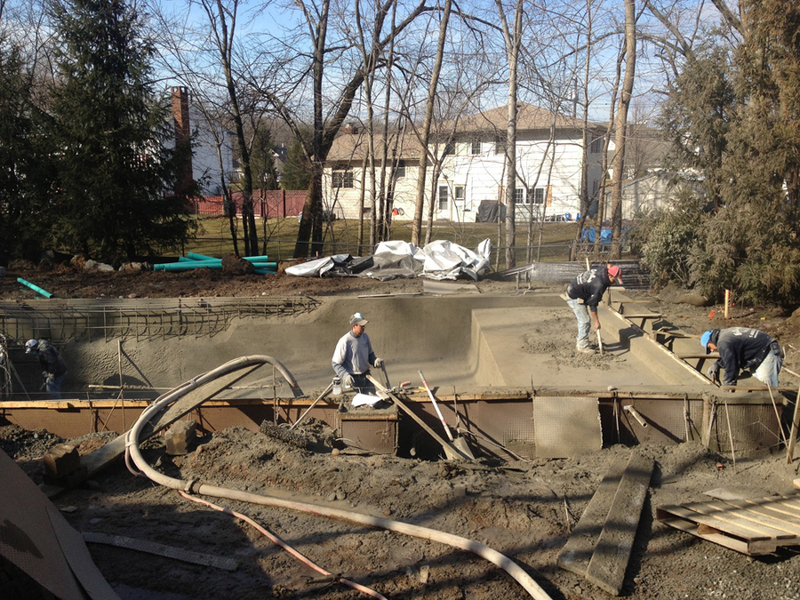 Feel confident knowing your pool construction will be handled by APSP Certified Building Professionals! The CBP Certified Building Professional® credential is awarded by the Association of Pool and Spa Professionals to swimming pool builders who have demonstrated a high level of knowledge in swimming pool and spa construction by successfully passing a rigorous standardized written examination and meeting ongoing continuing education requirements. 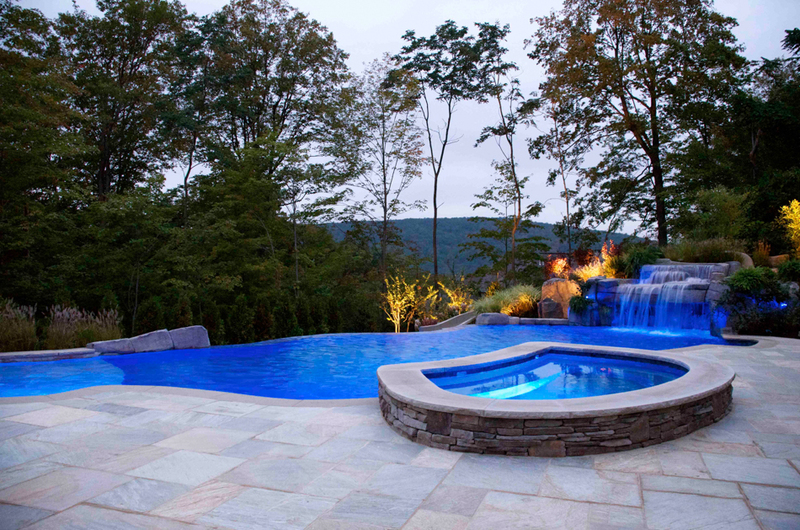 Cipriano Landscape Design is one of only four swimming pool designer / builders in Bergen County New Jersey to have earned the CBP certification. The Association of Pool & Spa Professionals (APSP) is the world’s largest international trade association representing the swimming pool, spa and hot tub industry. APSP’s mission is to promote consumer safety and enhance the business success of its members. Members adhere to a code of business ethics and share a commitment to public health and safety in the use of swimming pools, spas and hot tubs. APSP member companies include swimming pool manufacturers, distributors, manufacturers’ agents, as well as swimming pool designers, builders, installers, retailers, and swimming pool service professionals. Why hire Cipriano for your inground swimming pool project?